﻿ Book of Mormon Geography, The Simple Truth! 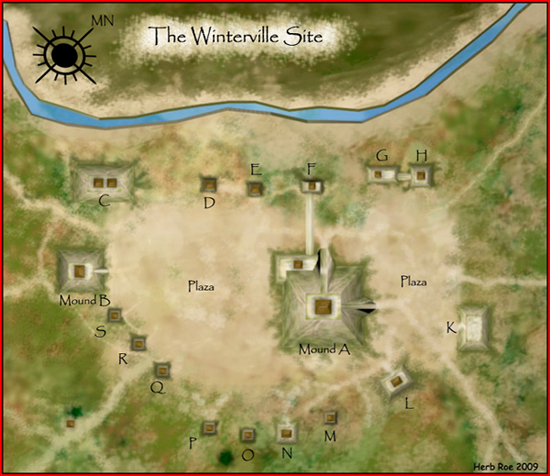 "CHOICE ABOVE ALL OTHER LANDS"
How could all those travels, settlements and battles have been in a land so small? Wait – are we talking about the Book of Mormon or the Bible? With nothing more than the Bible, and the location of mount Moriah, we can deduce that the Mediterranean has to be “the great sea westward” neighboring the lands of Israel and Judah. 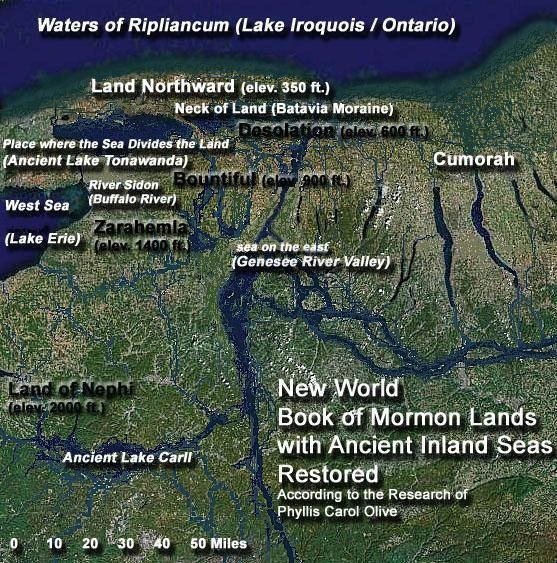 With nothing more than the Book of Mormon, and the location of Cumorah, we can deduce that Great Lake Erie has to be the “west sea” bordering Nephite and Lamanite lands! Targeting Book of Mormon Geography Scapegoats! Beware Mark Hofmann’s Anthon Transcript Forgery! What Many Cannot Tell, Modern Demographics Can! Nearly NAKED WARRIORS in winter? 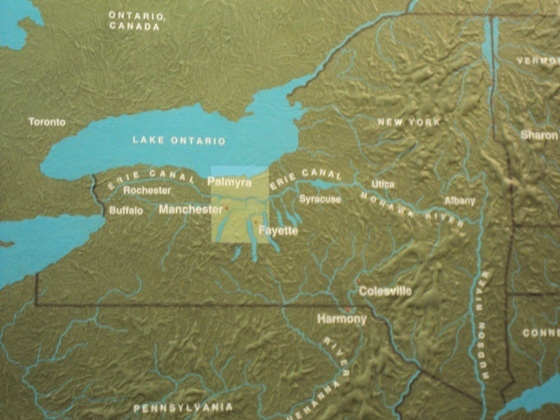 Yes, there’s a place named “Lamanai” in Belize, but in Joseph Smith’s boyhood state of New York there’s “Oneida”. Where was Eden? Where is the Garden of God? "Heartland as Hinterland" - Nice Try! Who Originated the Heartland Model? The Book of Mormon “west sea” and “east sea”, on the other hand, are proper nouns - that is, they are the actual names of bodies of water that situate on the west and on the east respectively, of the lands of Zarahemla and Nephi. These principal Book of Mormon lands are southward from “the land northward” mentioned in Helaman 3:8. (Alma 50:8) The “west sea” and “east sea” also name inland bodies of water in the directions of sunrise and sunset in Old World Jerusalem. (Joel 2:20) The Hebrew name translated “utmost sea” (KJV) can also be translated “west sea”. The Book of Mormon does not say that the entire land northward resides in land occupied by the United States of America. Traveling from the land of Desolation in the north, to “the land southward”, we encounter the principal Book of Mormon lands of Bountiful, Zarahemla, and Nephi. These covenant lands are in the borders of the prophetic United States of America! (Alma 46:17) A distant land northward, surrounded by seas in each of the cardinal directions matches perfectly Ontario Canada. The Book of Mormon land of Zarahemla and “a land among many waters” by Cumorah, are so near each other, that travelers from the south mistook one region for the other. (Mosiah 8:7-8; 21:25-26, Ether 9:3; 15:8-11) This overlooked fact proves many proposed "Book of Mormon" maps false! See Distances in the Book of Mormon's American Setting. Though the principal lands named in the Book of Mormon are comparable in size to the biblical land of Israel, there is no scripture reason to believe that Lehi's covenant land of liberty is limited to only these (i.e. 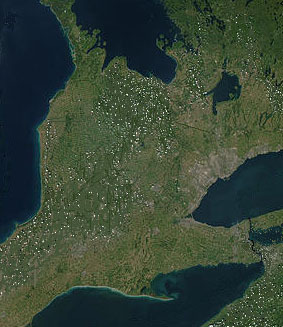 the lands of Nephi, Zarahemla, and Bountiful on the coast of “the west sea” - Lake Erie). (Helaman 6:10, Ether 13:4-8) The “south countries”, south of Lake Erie (referred to by the Lord in Doctrine and Covenants 75:8, 17) fit the Book of Mormon “south countries”. (Mormon 6:15, 8:2) A temperate climate conducive to keeping the seasonal ordinances of the Mosaic Law, would have been the chief constraint on the extent of Lehi's inheritance. To God and Israelites, Covenant Lands Matter! The “stick of Judah” (“ets Yehuda”, אֵץ יְהוּדָה) mentioned in the Bible (Ezekiel 37:15-22) represents the covenants God made long ago with the Jewish people. The record of these covenants resides in the Bible. These include the promise of an inheritance in Jerusalem and her environs. The Book of Mormon contains the record of God's dealings with a branch of the tribes of Joseph, who were divinely led to a country far away from the biblical Promised Land. 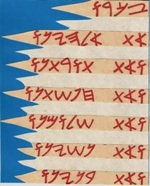 (JST Genesis 50:25) God's covenants, recorded in the Book of Mormon, are represented by “the stick of Joseph”, mentioned in the Bible. LDS scripture clearly connects the Book of Mormon with “the record of the stick of Ephraim [son of Joseph]” (Doctrine and Covenants 27:5) Ephraim (pronounced “Efrayim”, אֶפְרָיִם) means double fruit. The Bible likens the separation of Joseph's posterity, to fruitful branches extending beyond a barrier. (Genesis 49:22) Latter-day Saints interpret this barrier or “wall” to mean the Ocean. For many of Israel's descendants, the importance of knowing the location of covenant lands is more than a desire to satisfy an intellectual curiosity. The subject is not just about geography or a need to tie scriptural sagas with accurate settings and genuine maps. It is about covenant inheritances and heritage. It is about blessings, responsibilities and penalties associated with lands of promise and posterity. 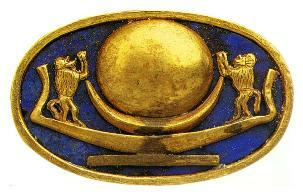 To the Israelite mind, identifying, the God of the land, the covenant people and the covenant land is paramount. These, of course, are topics that the Book of Mormon is keen to address repeatedly. Needless to say, the God of Jacob would not leave his ancient covenant people without ways of identifying the general locations of their lands of promise. We might expect scripture to contain vital keys. About So Much More Than Geography! A must read for those seeking solid answers to the placement of Book of Mormon lands, and what it means for the house of Israel. to order a free copy of the Book of Mormon.